Buy Mamara Badam | Best Almonds | IRANIAN Almonds|ABK® Buy Worlds Best Saffron, Walnuts, Acacia Honey, Morels & more! Mamra Almonds are Almonds produced in Iran and some parts of Afghanistan. Though produced in very little quantity compared to the Worlds production, but as such they are are regarded as the best Almonds since they have a high nutritive value. Mamra is also richer in sugar content than californian and Gulbandi Almonds and that’s why is considered as an energy booster. Best Quality Kashmir Walnut Kernels Online. Selected Walnut kernel halves of light color with no broken pieces. The product is from the new crop (current crop) and contains No Bitter kernels Guaranteed. Premium quality 1 gm Kashmiri kesar. ABK's Kashmiri kesar is warranted to be 100% pure and natural Kesar and is free from any foreign matter. Our Kesar has just the long strands of Saffron and have a powerful colouring and flavouring capability. A PREMIUM QUALITY PRODUCT BY ABK. 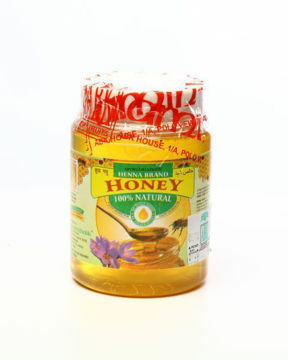 Natural Honey from Acacia Blossoms. This Honey is pure for sure, and it is from our own bee farms in Kashmir. We after-all have been selling this product since we started, back in 1972 and you could be sure about Quality with us.